Snorkel aware, dive with care! 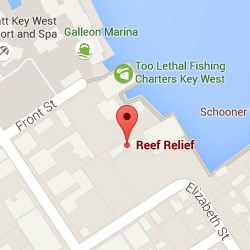 Before booking a reef trip, check out weather conditions. It’s best not to go out in rough seas. Poor visibility, strong winds and waves reduce safe interaction at the reef. 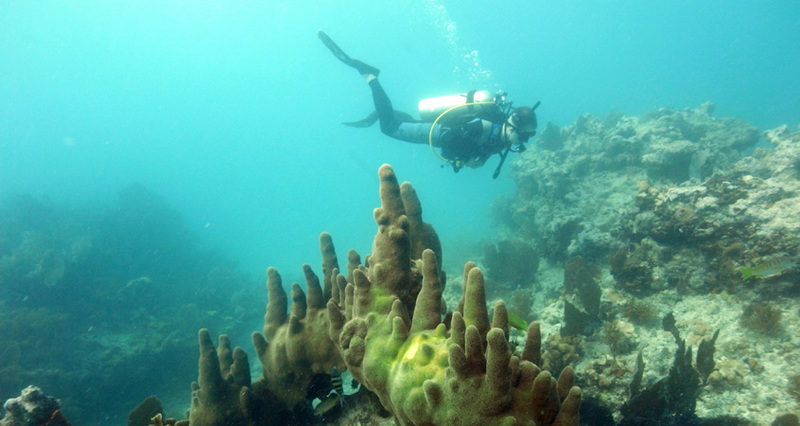 Remember that even the lightest touch with hands or equipment can damage sensitive coral polyps. Snorkelers should wear float coats—inflatable snorkel vests—to allow gear adjustment without standing on the coral. Never stand up on a coral reef! To avoid contact with the ocean bottom, divers should only use the weight needed and practice proper buoyancy control. Areas that appear empty may support new growth if left undisturbed. Avoid wearing gloves and touching or collecting marine life. Most tropical fish captured die within a year. In Florida, Queen conch and coral are protected species, and cannot be taken. Buying them at local shops only depletes reefs elsewhere in the world. Resist the temptation to feed fish; it changes the natural behavior and diet of the fish and is illegal in Florida waters.